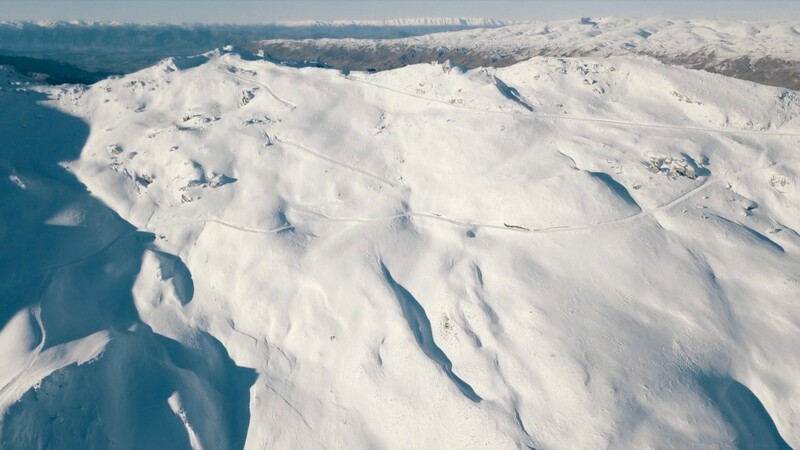 As a mad-keen Kiwi skier, it’s an announcement I’ve been waiting for… for decades: Cardrona Alpine Resort and the adjacent Soho Basin Ski Area are to join forces to create New Zealand’s largest alpine resort – on a mountain range between Wanaka and Queenstown in the South Island. This is massive news for skiers and snowboarders Down Under. “Think Captain’s Basin on steroids,” my friend Jen at Cardrona said in a state of high excitement last week, referring to my favourite run on the mountain. Soho Basin is directly behind the existing Cardrona ski field, adjoining the resort’s southern boundary. It covers all the southern and south-west faces of Mt Cardrona, looking towards Queenstown — a beautiful expanse of wide open slopes and basins with epic snow that we’ve been gazing at longingly for years as we ski the Queenstown Return run at the end of every day. And the panorama of the Southern Alps and Wakatipu Basin is just mind-boggling. Soho Basin will add an additional 500ha of high-altitude skiable terrain, offering up to 500 vertical metres of skiing. Cardrona will effectively more than double in size to over 900ha of skiable terrain. I can’t wait to get at it! And access to Soho will be super-easy — from the top of the recently-installed McDougall’s Chondola opened last year. Good planning behind the scenes there. So how and when did this long-awaited announcement come about? 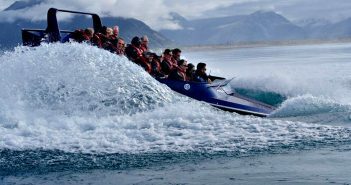 Well, it transpires that Real Journeys Group, the owners of Cardrona Alpine Resort and Queenstown businessman John Darby who owns Soho Basin, have been working on a partnership deal for years and finally broke the news to the world on July 12. Soho Basin, part of Glencoe Station, was first acquired by Mr Darby over a decade ago. “The diversity of the slopes in the Soho Basin make it an exceptional ski area for all levels of skiers. Its high altitude, southerly-facing aspect means it receives and retains a good cover of early snow. 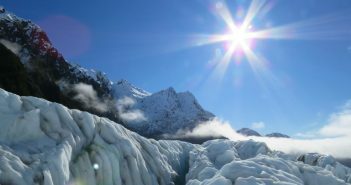 Soho offers spectacular views out over Queenstown, the Wakatipu Basin, and across the Main Divide,” says Mr Darby. Cardrona General Manager Bridget Legnavsky says: “To be a truly world-class alpine resort, you need to have extensive lift networks, multiple aspects and varying terrain – this new terrain and the developments that go with it will really make Cardrona an extraordinary experience in Aotearoa. Cardrona is three years into a five-year development plan that has focused on preparing Cardrona for the Soho expansion by improving guest flow and capacity. This has included installation of the McDougall’s Chondola to increase uplift, the refurbishment and repurposing of the Base Area buildings, and expanded car parking with a connecting shuttle service. Development of the larger, integrated Cardrona-Soho Ski Area will be in accordance with the agreed masterplan for the combined ski areas. All necessary approvals are now in place to commence the staged development of ski area facilities in the Soho Basin. The development of the ski area and supporting facilities is expected to begin once the current Cardrona masterplan is completed. In the meantime, snow cat skiing will continue for those who wish to experience the Soho Basin before commercial ski operations are developed. That’s me! Snow cat skiing sounds awesome. I’m packing my ski gear as I write . . .
Be sure to also check out the video announcement of the new partnership on Luxury.TV.